Junichi is very experienced chef with deep back ground in Japan and Los Angeles. Also, Junichi participated US-Open tennis 2015 for chef. It is biggest event on his experience. He moved to Orlando FL, in October 2015 and supported the start up of the restaurant "Morimoto Asia" at Disney Springs. After ended it, he started catering business and now starting up his own restaurant at Sanford. 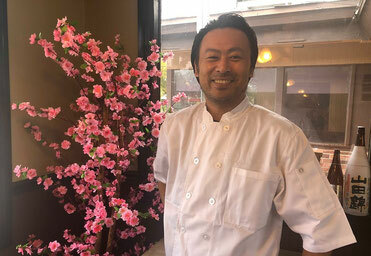 Junichi has many experiences that served dishes for many Hollywood celebs at Los Angeles. Hollywood celebs, politicians, and everyone love Chef Junichi's dish. Please join to"Jimotti". Thank you very much.